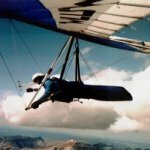 US Hawks Hang Gliding Association • View topic - Where does the buck stop? Post subject: Where does the buck stop? Yesterday, Bob and Scott doubled up to take on the San Diego City Council regarding the reinstatement of the Torrey Pines City Park Advisory Board. Post subject: Re: Where does the buck stop? As far as reinstating or creating a new Torrey Pines City Park Advisory Board, we are deferring to Councilmember Lightner since this is in her district. Should she decide move forward with it, we will help as appropriate. Sherri Lightner (current District 1 Councilmember) has failed to "move forward with it", so it's time to start asking the new candidates where they stand. By the way, I want to thank Scott for speaking up at the Council meeting. There's a lot of intimidation against speaking out, but Scott overcame it and did a super job. What was said had to be said! And I'd like to thank you for your pre - coaching! I actually like public speaking, but without your help I would have been 10X more nervous than I was. Thanks again! I would also like to thank Marjie for posting the YouTube links to the City Counsel meeting. One step leads to another. and so on and so on . . . . . . . . . I never skip past a posting that Marjie puts up. And I'd like to thank you for your pre - coaching! I actually like public speaking, but without your help I would have been 10X more nervous than I was. Thanks again!